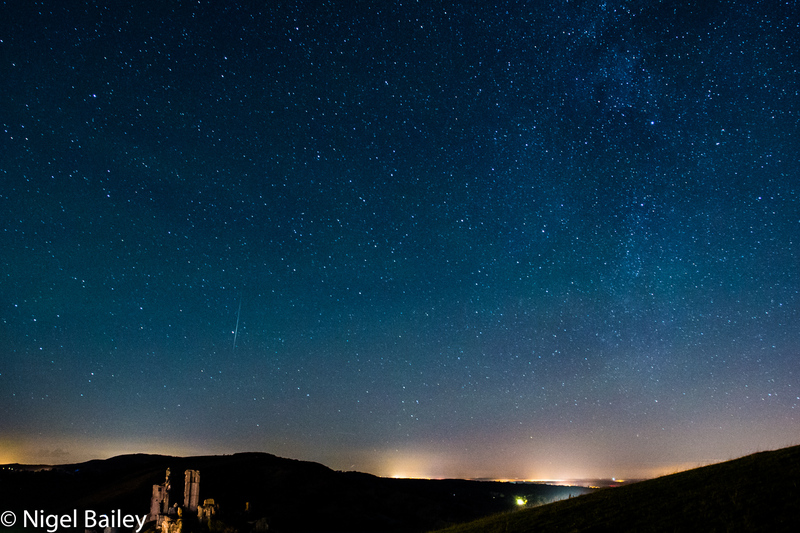 Last December I popped down to Dorset to photograph the Gemini Meteor Shower. This isn’t a technically complicated task, but it does require a great deal of patience. Some people may do this as part of a group of like-minded astro-fans (or astronomers! ), or take the solo route and enjoy the quiet expanse of the night sky on your own. Either way, it’s always great to get out and experience the awesome splendour of the cosmos above you. For me, it’s a reminder of an amazing creator God. Most of the time is spent with the camera shutter wide pen and the camera pointed in the same direction. Each exposure is about 20 to 30 seconds and you have to hope that at some point a meteor will appear in the patch of sky you have framed. This particular evening required about 140 shots in a couple of hours. After all that effort, the shot itself is hardly dramatic, but you can just make out the meteor slightly to the right and above the castle in the foreground. Don’t underestimate the impact of the viewer who knows nothing about photography. I think it is a truly awesome picture of a magnificent sky.